Sunrise on Luxmore Hut, first hut on Kepler Track Great Walk. Lake Te Anau and Murchison Mountains beyond. Dawn. 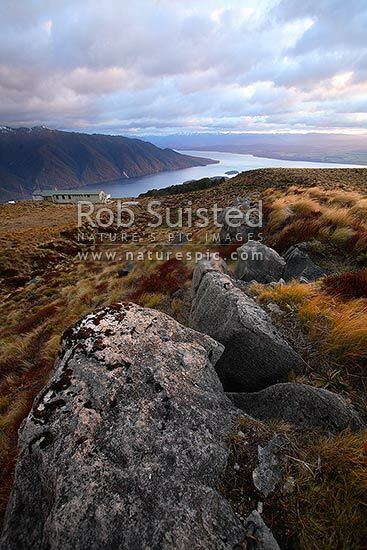 Large rocks in foreground, Fiordland National Park, Southland District, Southland Region, New Zealand (NZ), stock photo.